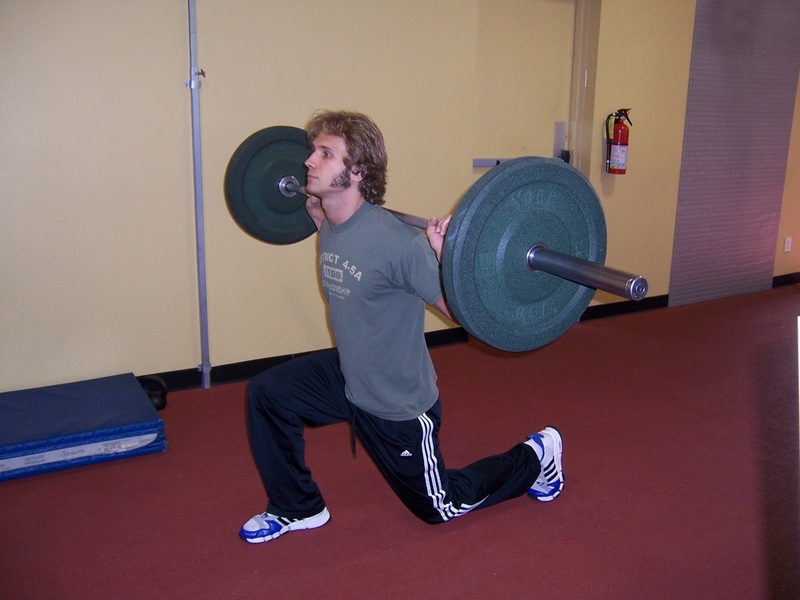 Dallas Personal Trainer - The same as the classic Walking Lunge except that this version requires a more explosive push-off from the floor the push the body back to the starting position in one swift powerful movement making it a favorite of many strength and performance coaches and personal trainers as well. At first you will simply use your bodyweight for this exercise. However, once you are strong enough to use added weight, your program will specify whether to use dumbbells or a barbell. 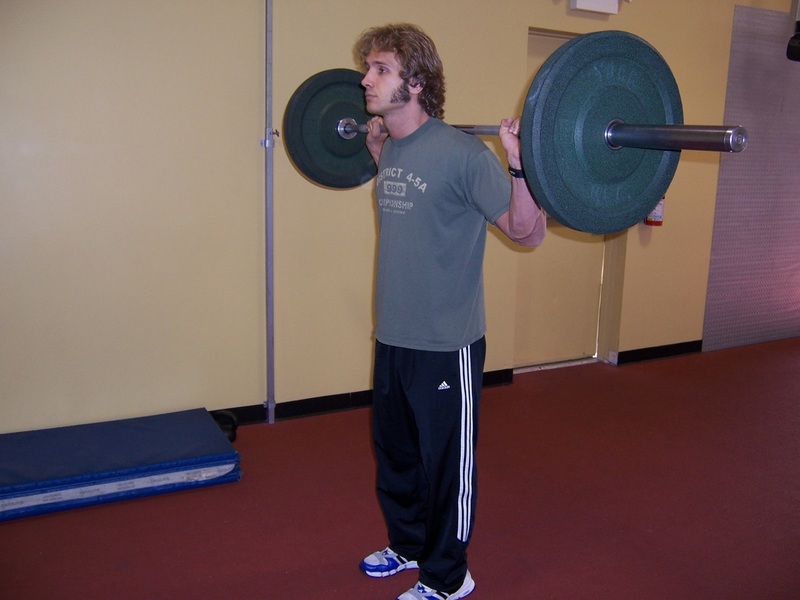 If using a barbell, load a bar on a squat rack and step up under it, allowing it to rest across the back of your shoulders. If using dumbbells, pick them up from the rack and hold them at your sides with one in each hand. Stand upright and step out forward with one of your legs. Step out far enough that when your knee on your back leg reaches the ground, each of your knees are at about a right angle. Keep your head up, your chest out, your shoulders back, and your weight on the heel of your front foot. Push yourself up and back to the starting position, by pushing the heel of your front firmly into the ground. Do not push from your toe. After coming back to the starting position, step forward with the other foot. On this exercise, each leg counts as a half rep. So, a set of 12 reps means that you will perform 12 reps on each leg, for a total of 24 lunges. Alternate, back and forth between legs until you have completed the specified number of reps on each leg. Keep your head up throughout the entire exercise.